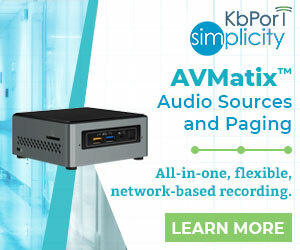 KbPort™ strives to meet customer needs by offering flexible product options to support healthcare simulation education. SimCartRx™, SimCabRx™, MedsManager™ and SimEMR® work together to bring the complete cycle of medication administration, inventory control and clinical documentation to the simulation lab and classroom for many healthcare disciplines. While the flexibility of these systems combine to form the highest fidelity lab environment available, KbPort™ recognizes the insight fundamental technical knowledge can add to building impactful and efficient curricula. As such, it is our goal to provide technical training that creates a foundation of understanding at the hardware, integration and device communication levels to enable faculty to fully utilize the capabilities of our solutions. 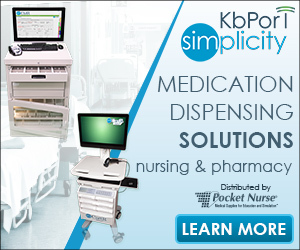 On-Site Installation Services can be purchased for KbPort™ Simplicity™ Medication Dispensing Solution devices. OSIS includes unpacking, physical assembly of products, relocation to the designated, on-site room location (if needed), removal of packing materials to the customer’s designation, connectivity to the network, and training. Training consists of an operational overview of the devices, troubleshooting information, and maintenance procedures. Training can also include a basic overview of SimEMR® and of MedsManager™ software. This basic overview is not intended to provide proficiency on the software, but a functional overview. Detailed training can be purchased separately. KbPort™ offers 2 SimEMR® training sessions per month (dates and times vary). This free group webinar includes expanded education for SimEMR® configuration and use. Contact KbPort™ to sign up. KbPort™ offers add-on, personalized training to expand understanding of SimEMR® functionality and provide insight into incorporating your program’s curriculum to utilize your Medication Dispensing Solution hardware and software. Contact KbPort™ for rates, dates and times. 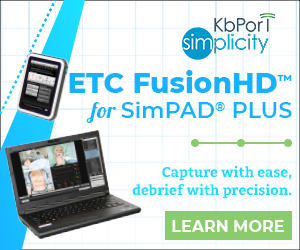 KbPort™ offers add-on, team-based, on-site training sessions to provide comprehensive understanding of SimEMR®, MedsManager™, SimCartRx™ and SimCabRx™, and how your hardware and software can be utilized to further your educational objectives. Contact KbPort™ for rates. 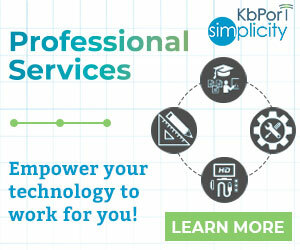 KbPort™ offers add-on, in-depth consulting services for lab design, curriculum development, and in-depth training. Professional Service rates vary and require in-depth discussions and planning. Contact KbPort™ to learn more about this option.